I’m all fired up to finally share this quilt I made for Andy. Only a couple of peeks were shown on Instagram, and Andy had no clue this was waiting for him under the tree Christmas morning, which was pretty fun. 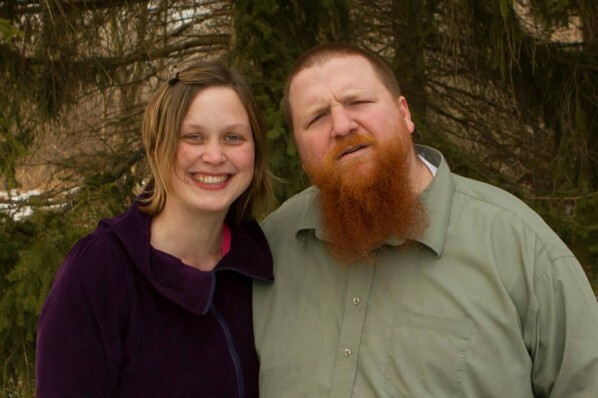 Andy is a ” Creative Director of Video Production” and his MFA is in video and poetry. In short, this was the perfect quilt pattern for him. Betz White’s pattern and color selection provided in We Love Color (affiliate link) came to together quickly and easily. ( I discovered this pattern through Betz White’s post about it on her blog.) 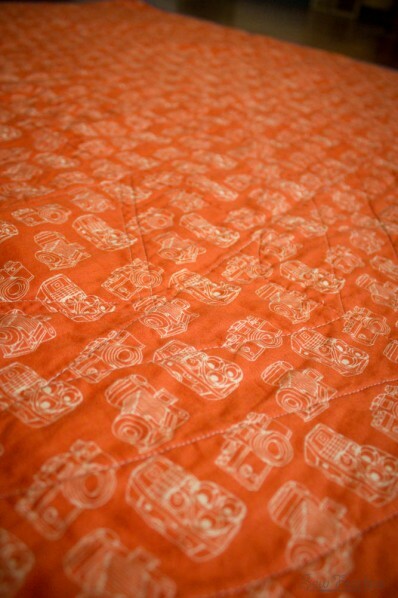 I decided to not make it a “quillow” like in the book, but instead backed it in this funky camera print in Andy’s favorite color (Thr3e by Cosmo Cricket – Kodachrome in Clementine). I stole the idea for the zig-zag quilting from Better Off Thread, and I would have enjoyed quilting it on my own machine if I wasn’t having so much trouble feeding the quilt through it. Maybe my batting (Warm & White) was too thick? Or my walking foot is broken? I can’t quite figure it out. I had to literally drag the quilt under the foot at some points and the stitch length varies like crazy. Up close it definitely looks like the amateur job that it is, but it will only bother me. 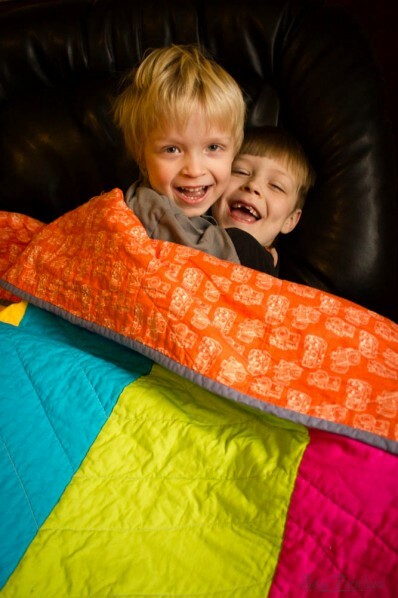 See more Sew Fearless quilting projects here. All your quilts are really inspiring me! I have one more quilt square to go in my first quilt, and then all the work to put the quilt squares together and the actual quilting… I need to see beautiful quilts like this one to remind me that it’s all worth it! You are half way there! You can do it, beautiful mama! Dude! My first walking foot was broken! And I kept thinking, “why do people like these? 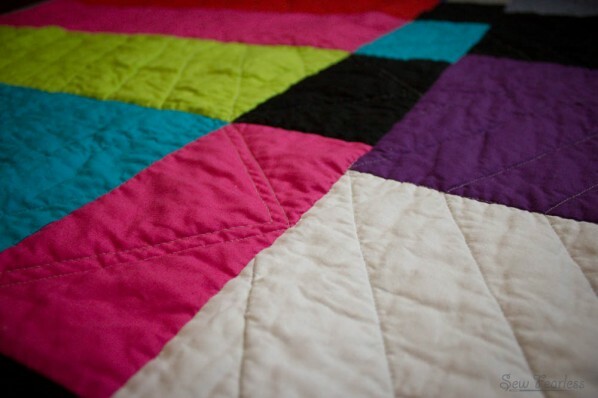 !” Great quilt! We were just telling the kids about getting up in the morning to watch cartoons, and watching the test pattern until the cartoons came on. It worked for my first couple quilts, I don’t know what the deal is. I’ll have to investigate more. Wasn’t it though? I pretty much HAD TO make it. Looks great! 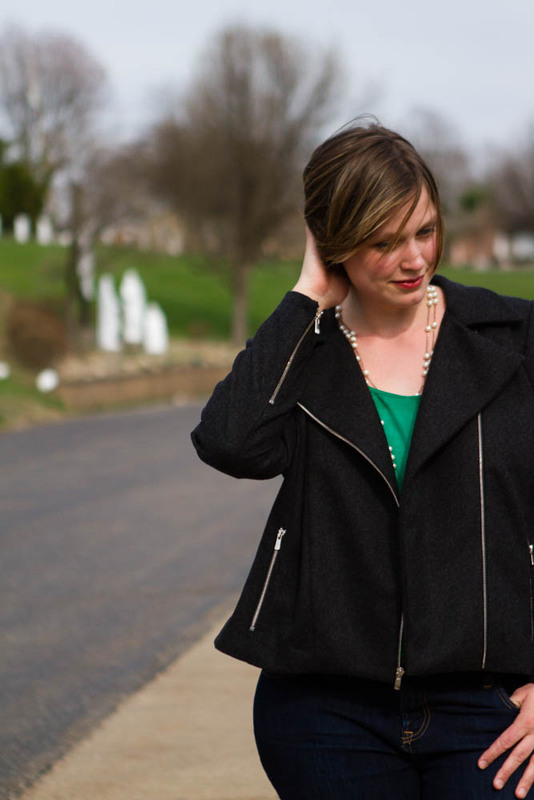 I just took an online class by Betz White called PROJECT UPCYCLE: THRIFTY SEWING PROJECTS and totally loved it! What a wonderful thing to keep as a surprise! Husbands are definitely more difficult to sew for than children… but worth it. =) Love the quilt. That’s such a cool idea! Great job!! Jodi it looks great, love the pattern and fabric. Sorry you had so many problems with the quilting of it. Surprises are always the best. This is amazing! 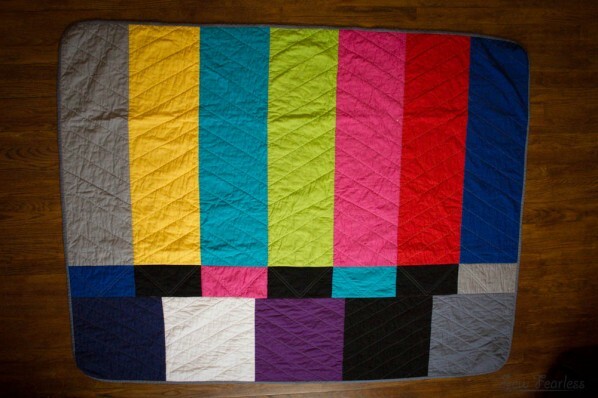 Who would’ve thought the test signal would make such a cool quilt. Colors make me so happy. No wonder the children on the photo are smiling…!